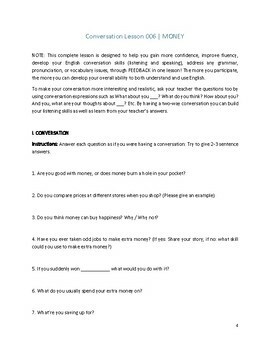 This is the first in a series of adult ESL English language conversation lessons that will enhance ESL teaching! What you have before you is an English language learning multiple vitamin! 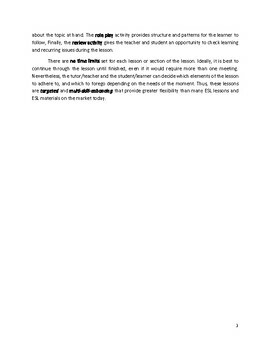 This material can be used by both teachers and students alike, and can extend through more than one meeting. 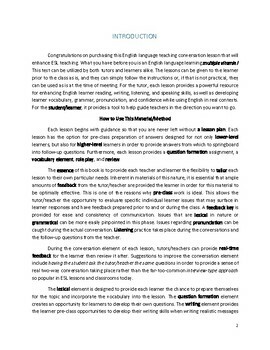 Each lesson provides a powerful resource for enhancing English learner reading, writing, listening, and English speaking skills, as well as developing learner vocabulary, grammar, pronunciation, and fluency while using English in real contexts. 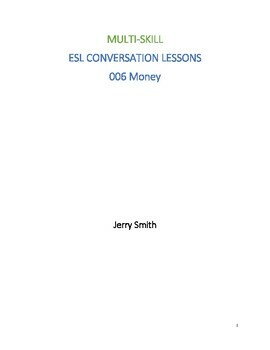 If you are a teacher interested in improving your students' use of English in adult conversation settings (group or private tutorials), this book can help.